Darren “The Damage” Elkins will battle the featherweight newcomer Michael Johnson for a potential place in the top ten of the UFC’s featherweight rankings at UFC Fight Night 124. Will the grass be greener at 145 for Johnson? After four losses in his last five fights, Michael Johnson has decided to leave the lightweight division for a new start ten pounds lower. He will debut at 145lbs this Sunday at UFC Fight Night 124 in St Louis, Missouri. 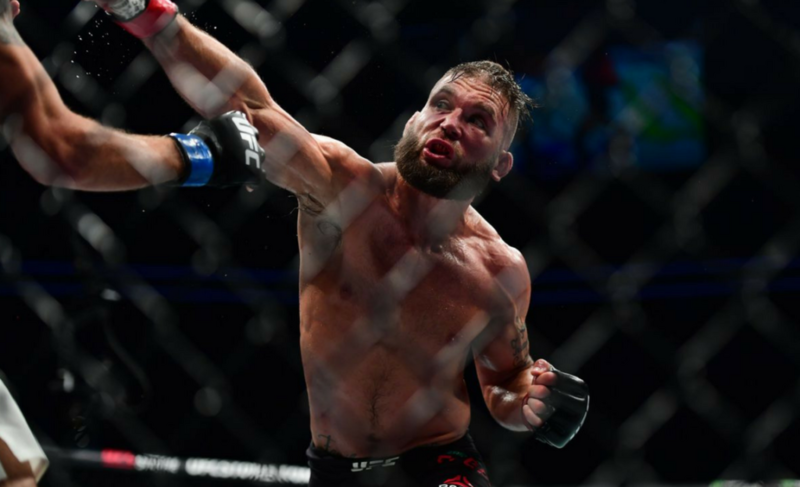 But, he faces a baptism of fire against the gritty Darren Elkins, who has quickly gone from a tough challenger to an impressive and rising contender. 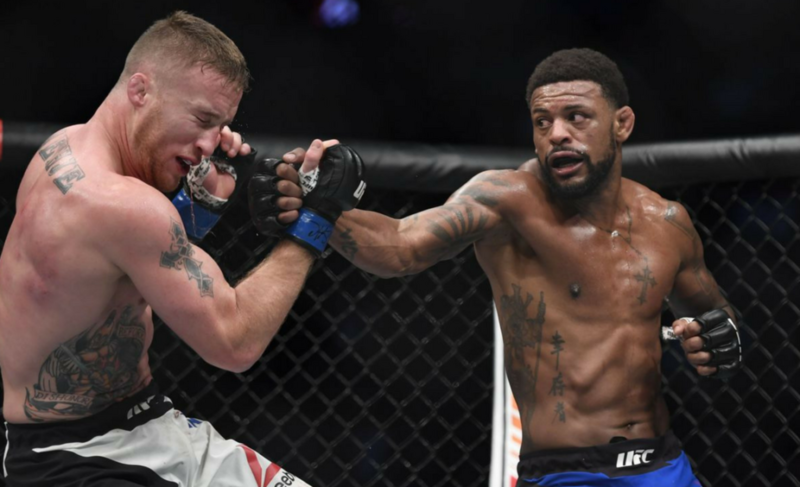 The 33-year-old sits at number ten in the featherweight rankings, meaning that a win for Johnson could propel him into the upper echelon of the division straight away. 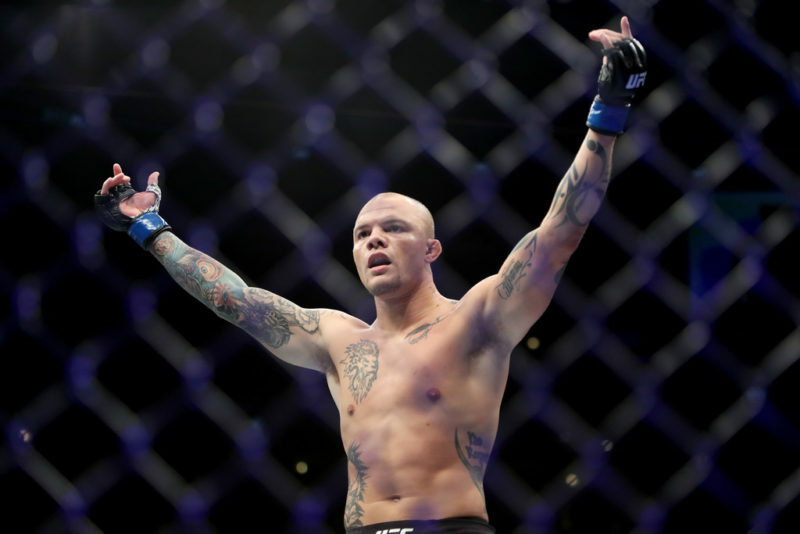 “The Menace” is hoping to follow in the footsteps of Robert Whittaker and Rafael dos Anjos by finding success in a new weight class. Those two men did, of course, move up in weight in order to lessen their weight cuts, whereas Johnson is only adding to his, but there’s no denying that a fresh start in any capacity has proven to go a long way in MMA. Whether that be in weight class, gym or even style of fighting (looking at you, Henry “The Karate Kid” Cejudo). In his new home, Johnson has the reach advantage over anyone he could be fighting in the foreseeable future, including Elkins. This means that, with his tendency to wing wild hooks on the counter, the St. Louis native should find himself caught in fewer firefights in the pocket. And after the damage that he took in his fights against Khabib Nurmagomedov and Justin Gaethje, he could do with his chin being well out of the way in this one. With this new found reach advantage and a significant recuperation after the Gaethje war behind him, Johnson will fancy his chances against Elkins on Sunday night. 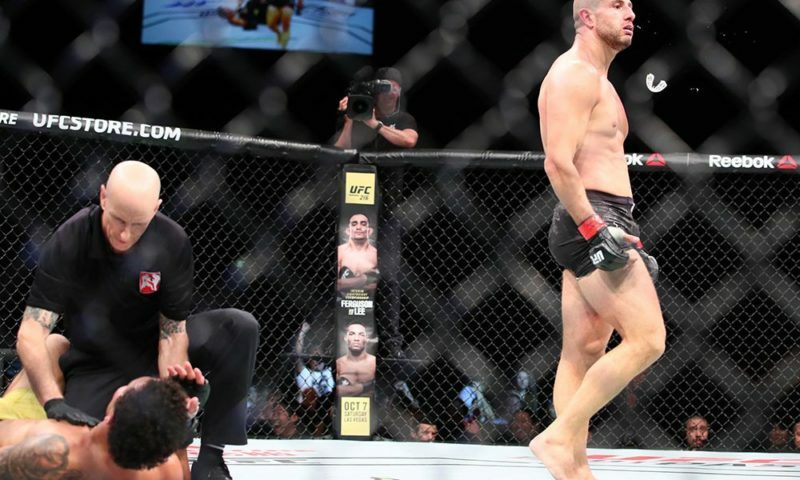 Although it has rightly been heralded as one of the best comebacks in UFC history, the Team Alpha Male product’s performance against Mirsad Bektic at UFC 209 did display some holes in his striking ability. Holes that, as a fighter who brims with confidence on the feet, Johnson will be looking to exploit. 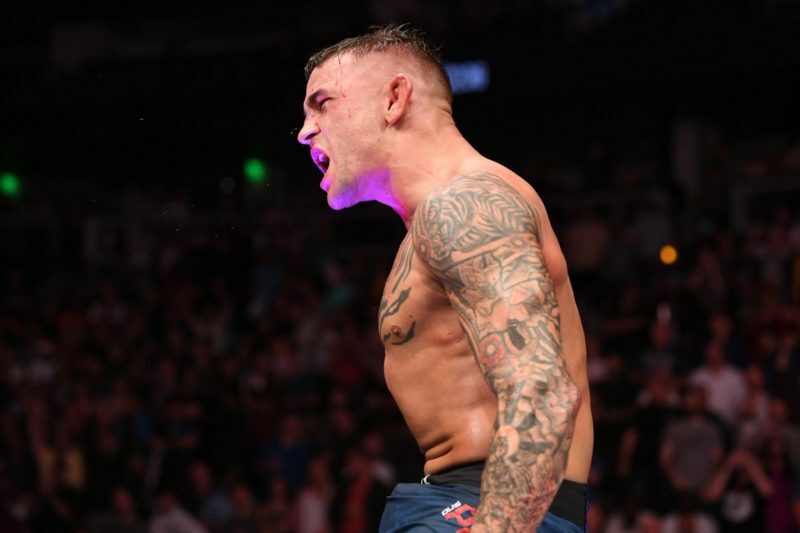 And he has the power to do so, as shown in his last victory in September of 2016, an explosive knockout of Dustin Poirier. 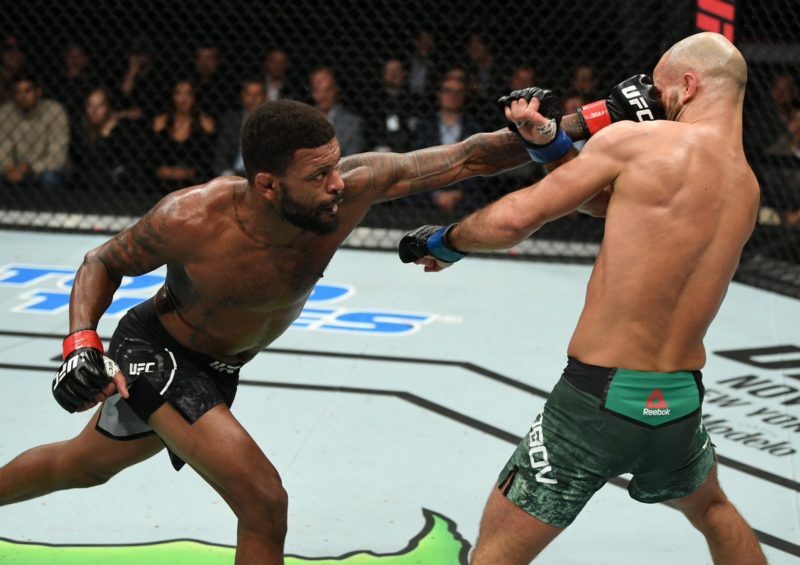 The well-placed left hand that ended that fight bore a great resemblance to the punches that Elkins took from Bektic, a sign of what may come if Johnson can get his timing right. He has the pieces, but the puzzle is not as easy to assemble as you might think. 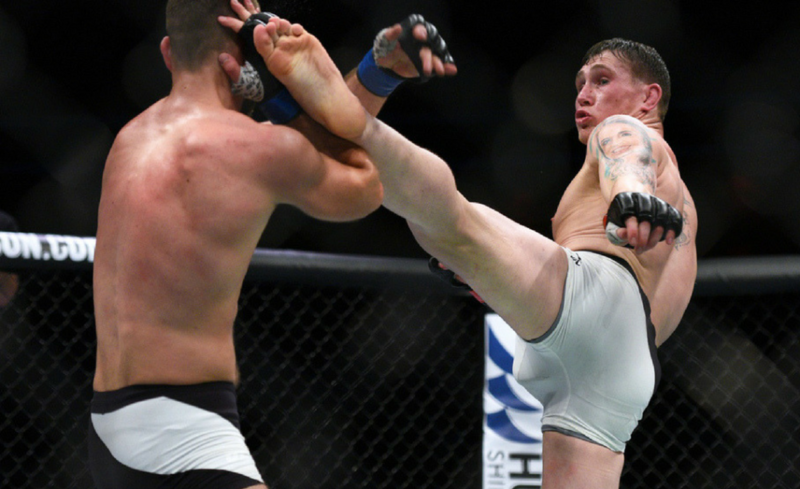 Whilst most fighters on a five-fight win streak would have a wave of support behind them, Darren Elkins seems to have not attracted the fandom that he deserves. Branded an over-achiever since his victory over Mirsad Bektic (a performance that reduced Joe Rogan to tears), “The Damage” has the ability to dispatch most featherweights in the world outside of the very elite, and that includes Michael Johnson. When compared with Johnson, there’s one decisive factor for Elkins that cannot be overlooked: momentum. 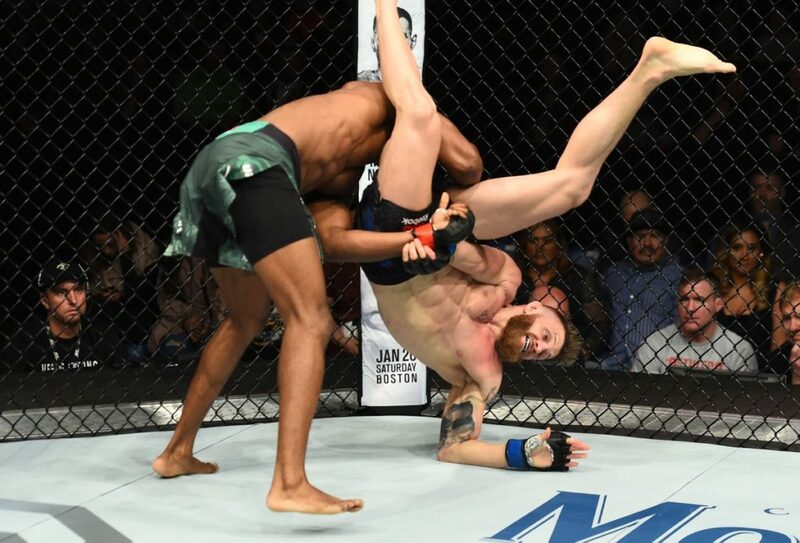 In the UFC, momentum can be everything. It has carried champions onto runs of unprecedented success and dragged the lesser fighters right out of the organization. It can be inspiring and just as equally ruthless. 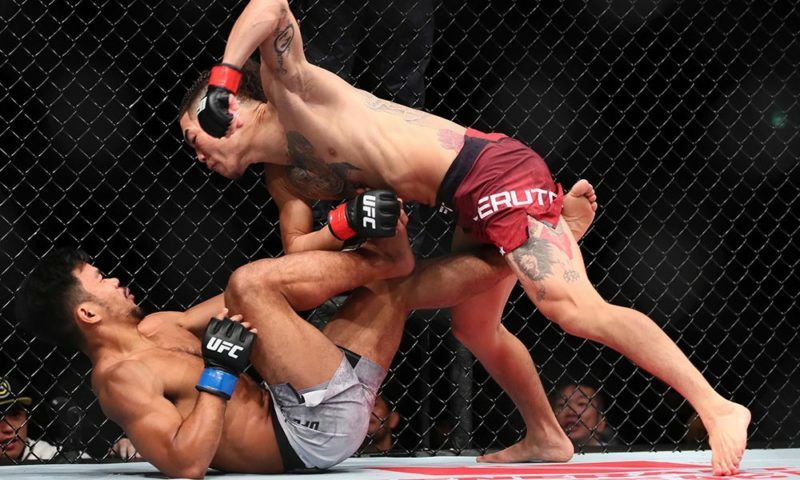 This fight demonstrates that notion perfectly as Elkins looks as confident as he ever has done, whereas Johnson was forced to flee the lightweight division with his tail between his legs. This may prove to be the difference in St. Louis because whilst the newcomer’s head whirls with reminders of recent failures, the mind of Elkins has to go back to 2014 to recall the last time his hand wasn’t raised. And when doubt creeps in, you could be in a world of trouble. Elkins also has the luxury of having made the featherweight limit 15 times previously. 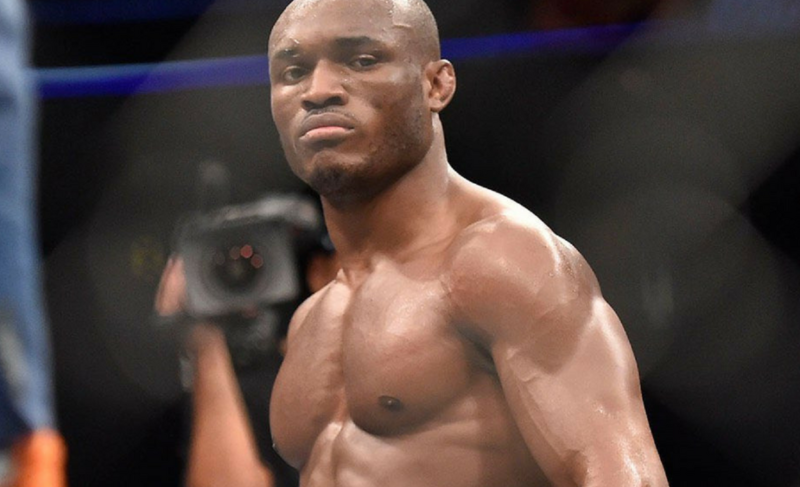 Although Johnson has most likely made the correct adjustments to weigh on point, any time a fighter needs to cut an extra ten pounds it can be daunting. Assuming he makes the 146lb limit, the fatigue will surely show in the fight, no matter how well he rehydrates. And fatigue will stick out like a sore thumb against Elkins who has gone the distance 12 times in his UFC career. Should Johnson enter the octagon with any dent in his cardio, he will almost definitely be dragged into deep waters across 15 minutes by Elkins. Turning the fight into an ugly, exhausting grappling exchange against the fence will magnify any cardio deficiencies from Johnson and you can be sure that Justin Buchholz and co will be looking to do exactly that. This fight is of great importance just outside of the top ten in the division, and the result could be the catalyst for some great featherweight fights. 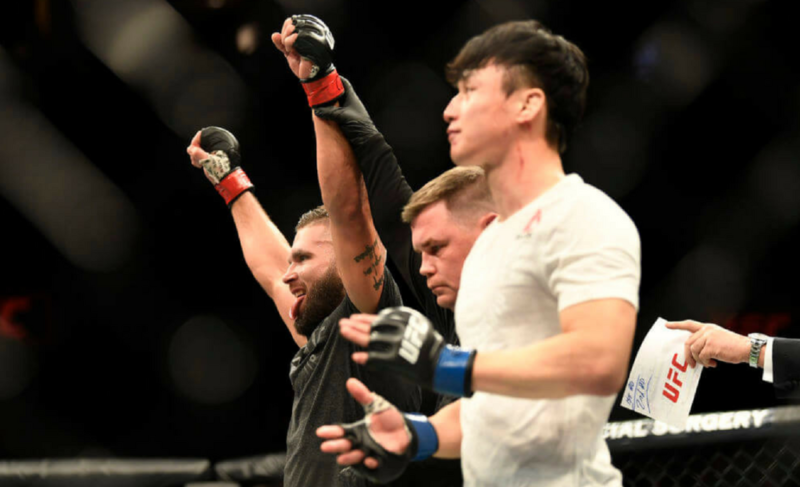 With Brian Ortega and Josh Emmett both coming off huge finishes, and Jeremy Stephens battling Doo Ho Choi at the top of this upcoming card, both Elkins and Johnson need a win to get themselves in the discussion. Neither one can afford to be left behind, but only one of them can take a big step forward towards the gold. Hi, my name’s Riordan and I’m from London, with Irish family. I write about all things UFC and I hope to one day do this full time, as I am just starting in the writing world. I hope you like what you read.